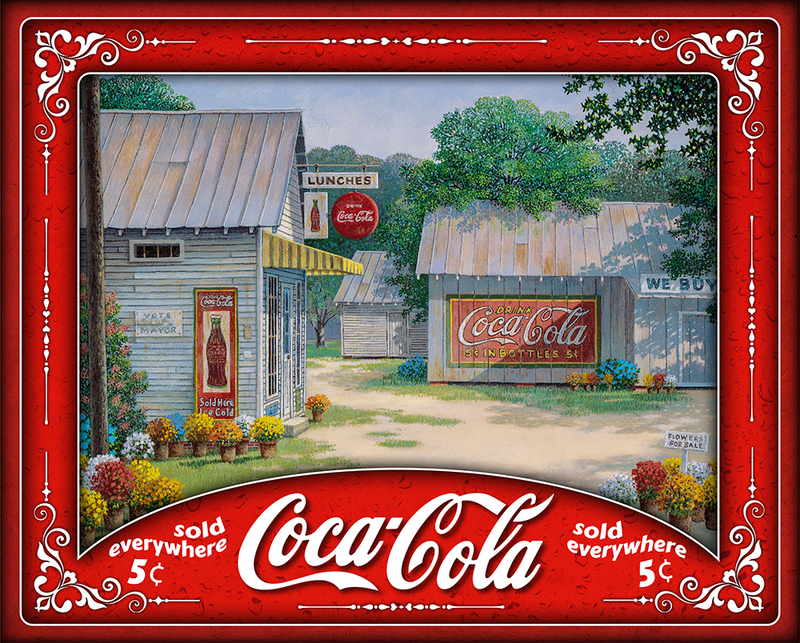 Stop for lunch at this charming farm cafe with Springtime Serentiy, a 500 piece Coca Cola puzzle by Springbok. The weathered buildings invite you to explore the surrounding countryside, as the leafy trees provide ample shade for your stroll. The vibrant red border adds a punch of color to this nostalgic scene.